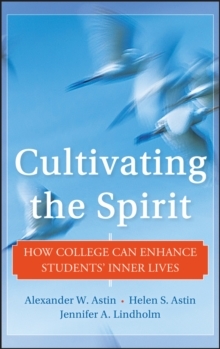 Praise for Cultivating the Spirit "A groundbreaking study of the spiritual growth of college students...The spiritual dimension of higher education has been explored from a variety of angles for the past twenty years, but not until now have we had a competent and comprehensive body of data organized around well-defined dimensions of this complex phenomenon. 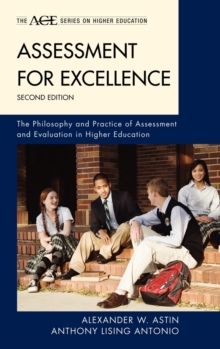 This is an essential book for anyone in academia who cares about the education of the whole person." 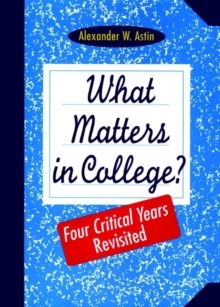 Parker J.
Palmer, author, The Heart of Higher Education, A Hidden Wholeness, Let Your Life Speak, and The Courage to Teach "An extremely important book for layperson and professional alike. 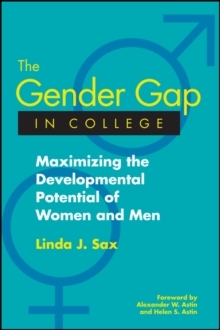 A stunning wake-up call for higher education highly recommended!" Ken Wilber, author, The Integral Vision "Cultivating the Spirit makes a unique and important contribution to one of the least examined yet most fundamental questions about undergraduate education: how students acquire the values and convictions that help to give meaning and purpose to their lives...The authors provide a wealth of valuable findings about this vital process and its effects on student achievement, well-being, and personal growth in college. 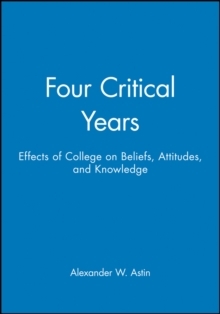 "Derek Bok, former president, Harvard University, and author, The Politics of Happiness "The fruit of a decade of elegantly designed and compelling research, Cultivating the Spirit provides timely and significant data for reorienting the conversation about the relationships among intellectual inquiry, traditional academic values, and the formation of the inner life.